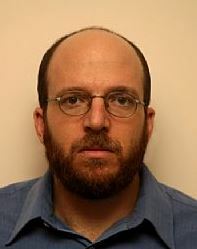 Participated in the Technion Excellence Program: October 1994 – June 1998. Uri included multi-disciplinary studies and advanced courses in his curriculum in the framework of the Program. Dr. Yitzhak Birk from the Faculty of Electrical Engineering. This research dealt with the optimization of data transfer in large volumes by innovative caching. This was presented at a conference for operating systems in the USA. He also did research under the direction of Prof. Nahum Shimkin from the Faculty of Electrical Engineering on the subject of "Delayed Reinforcement Learning in a multi-agent system". Together with two additional Program graduates (Ofer Gadish and Uri Tal) a system was constructed. They developed a simulator where multiple agents had to learn to cooperate to achieve a goal. The system was based on a recent (then) publication in the field, utilizing Delayed-Reinfocement Learning algorithms. About the Program: "Thanks to the Program I extracted the most out of my studies at the Technion. Instead of merely learning techniques, I learned new thinking methodologies." Recommendation to Program participants: "Make use of al the benfits the program gives you – the flexibility to learn and do academically whatever you desire, get involved in academic work as early as possible in your studies". Today (2012): Uri is an Entrepreneur.